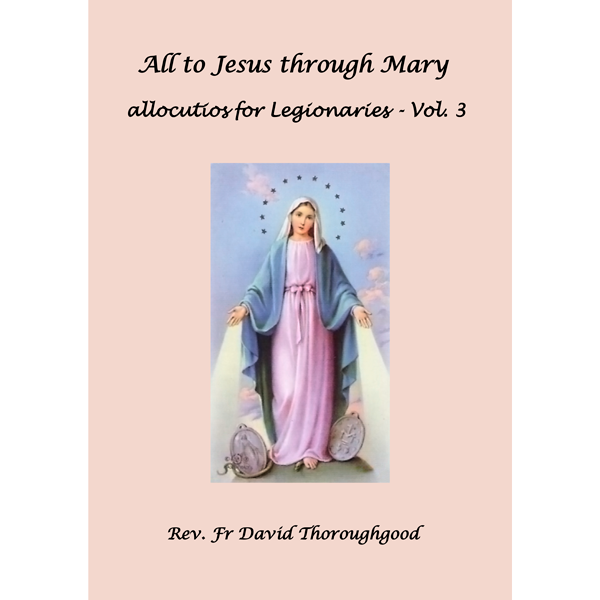 This is a book of allocutios given in Adelaide, South Australia, for Praesidium and Comitium meetings of the Legion of Mary. The allocutios cover a range of material from consideration of the Legion Handbook, to aspects of Catholic life, especially as it concerns Legionaries. They can be used at Legion meetings, or for private reflection. This is a book of allocutios given in Adelaide, South Australia, for Praesidium and Comitium meetings of the Legion of Mary. The allocutios cover a range of material from consideration of the Legion Handbook, to aspects of Catholic life, especially as it concerns Legionaries. They can be used at Legion meetings, or for private reflection.